In 1945, Thompson & Little opened their showroom doors and sold smallwares to local restaurants. Entrepreneurs Lucille and Wilbur O’Quinn worked vigorously to keep the small business running, and by 1955, they had established the company as a viable dealership in the foodservice industry. Sales began to explode in the late sixties when the government began pushing new construction of public institutions such as schools and hospitals. Thompson & Little aggressively pursued these new contracts, and before long, they became the kitchen “contract house” in the Carolinas. In 1980, Wilbur had stepped down as President and turned the company over to his son, Danny O’Quinn. Over the past 10 years, Thompson & Little has continued to evolve. Most recently, Thompson & Little was awarded their GSA Certification number, making them a select government vendor serving all branches of the government’s food service needs. Thompson & Little has also opened their own kitchen design and layout department. With this department, they can design a kitchen from scratch and prepare a floor plan and detail drawings. Now a third generation company with over 70 years of food service experience and knowledge, Thompson & Little is one of the largest foodservice dealerships in the Southeastern United States. The company has excelled and grown based on one idea, which is to provide the customer with food service solutions that enhance their operation. 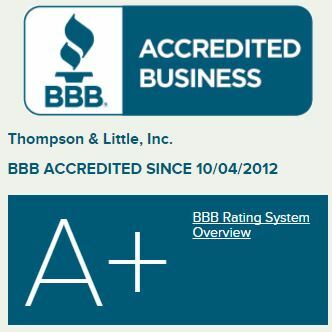 At Thompson & Little, we will continue to add value to your operation due to our expertise and commitment to excellence from our long-standing employees. Thompson & Little will improve our customer’s dining operation and profitability by providing highly efficient foodservice equipment and supplies. We will give our clients a competitive advantage by offering foodservice solutions in the form of cost-saving design services, convenient delivery and installation options, and professional customer service.